Universal Studios The Simpsons Video Walk Through: YouTube Video on the TiggerTravelsDotCom Channel Tigger Travels - Family Adventure Journal Photos From Tigger`s Travels and MORE! This video walk through is the outside areas of The Simpsons' Springfield starting at Bumblebee Man's Tacos and Lard Lad Donuts we pass Krusty Burger and Moe's Tavern. There is even a Duff Beer factory across from the Kwik-E-Mart. 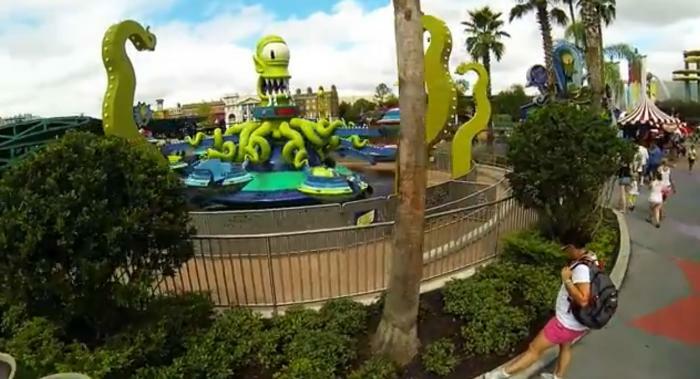 The video walk through ends on the plaza between the Kang and Kodos Twirl 'n' Hurl and The Simpsons Ride at Krustyland.